Each September, the ships of the Disney Cruise Line decorate for Halloween on the High Seas! 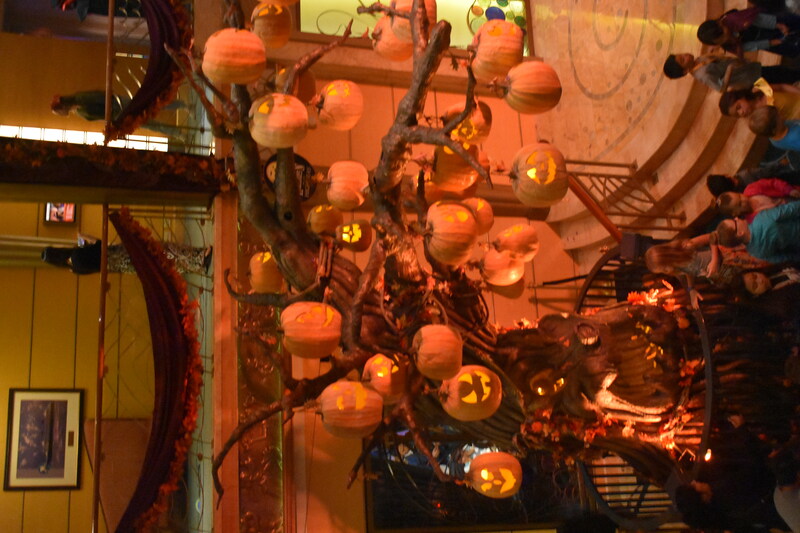 In the main lobby, guests are welcomed by the Pumpkin Tree. 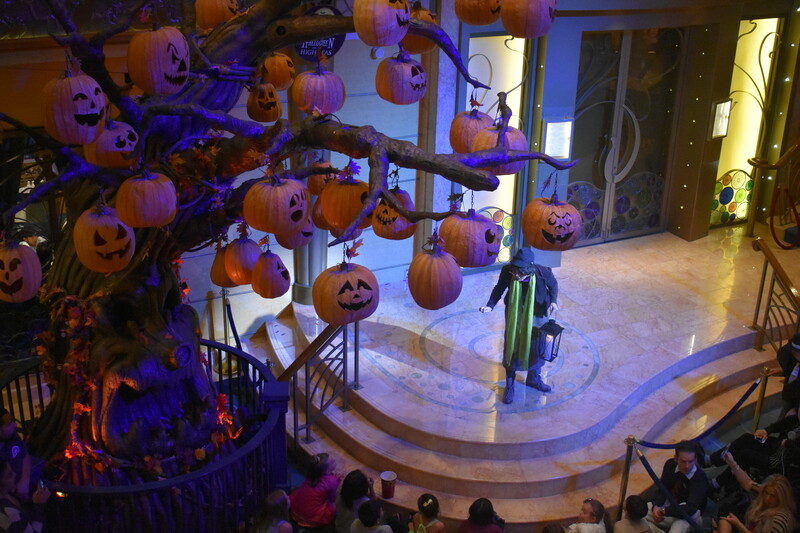 Each night during the sailing, a story tellers shares the Legend of the Pumpkin Tree. The event is spooky, but not to scary for little ones. The tree comes to life with songs and lights.